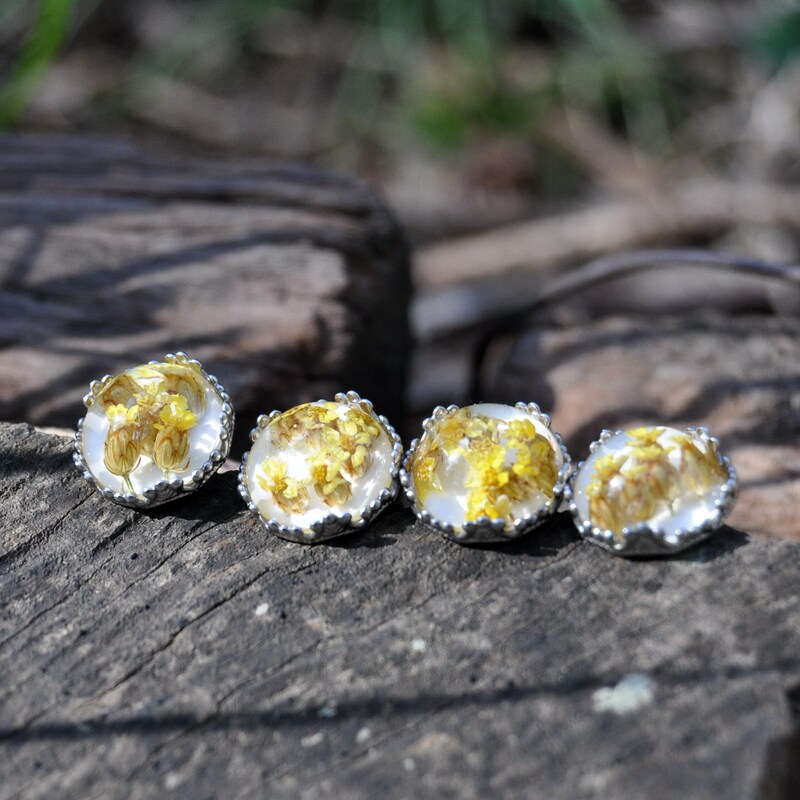 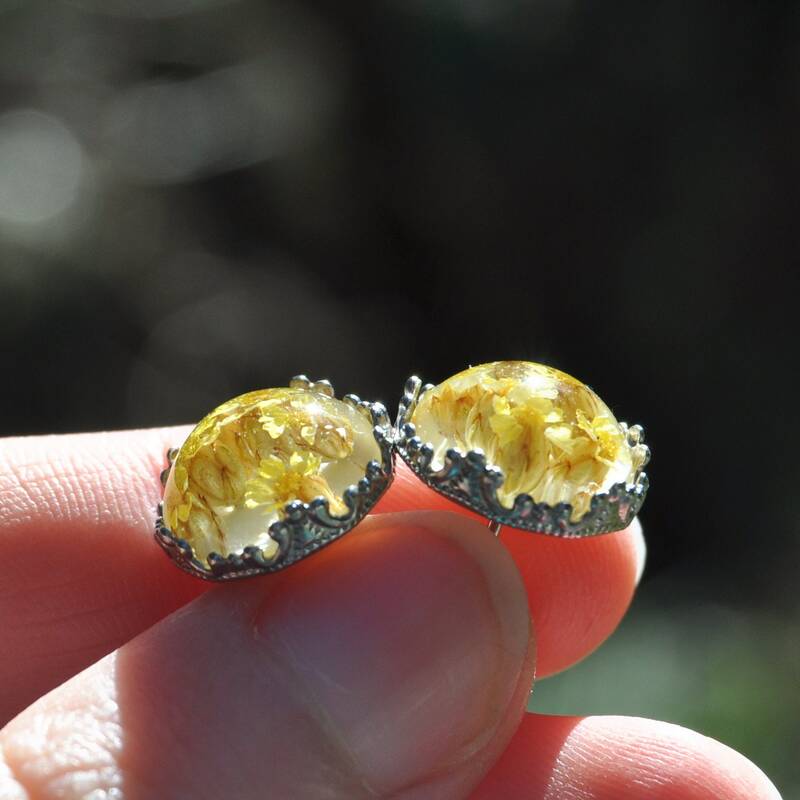 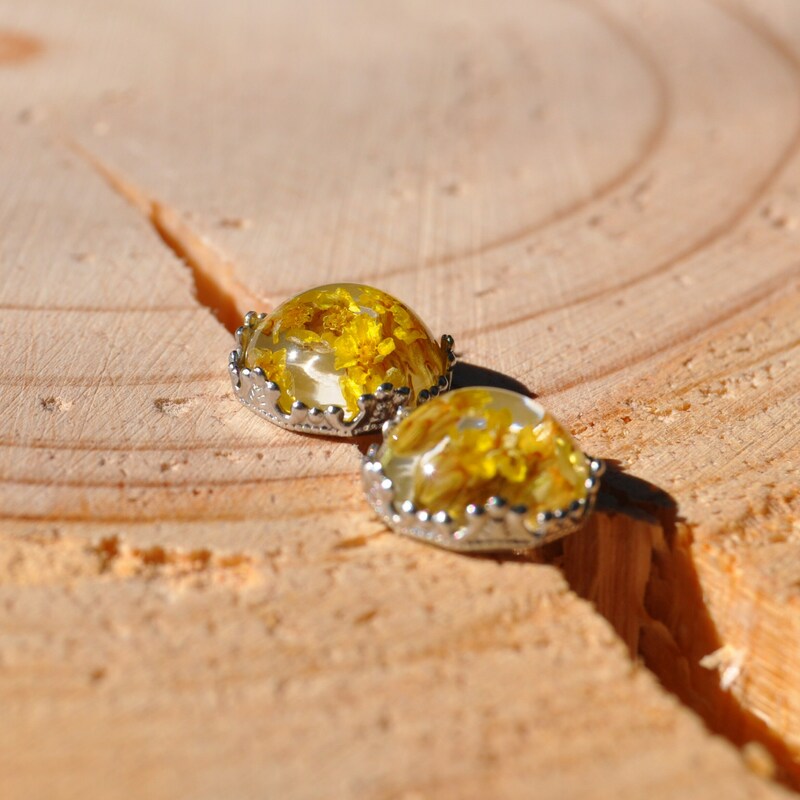 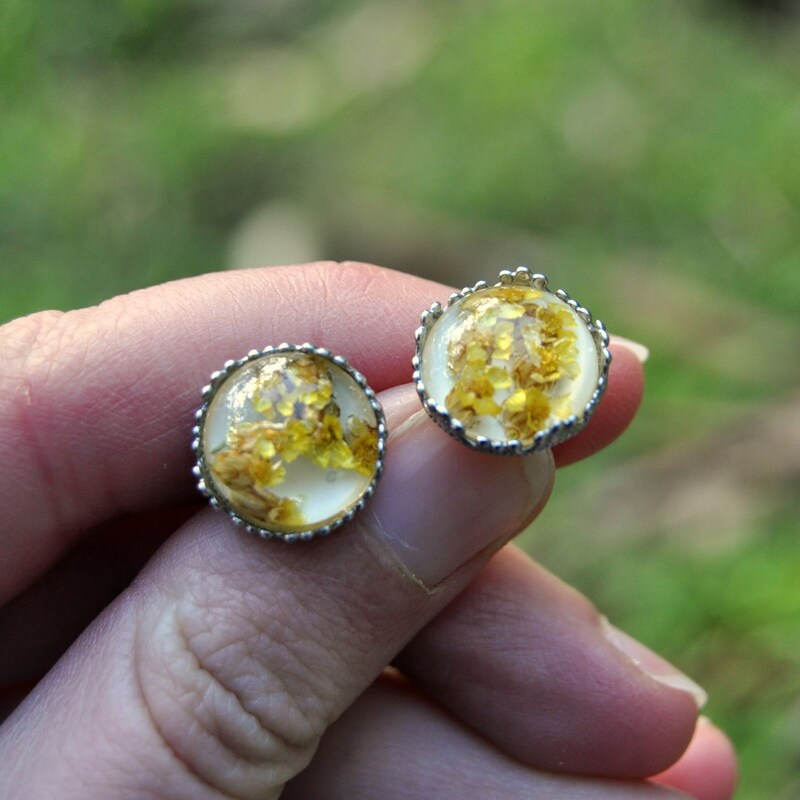 These delicate yellow flower earrings each contain several tiny flowers from the ancient 'Achillea' or Yarrow plant. 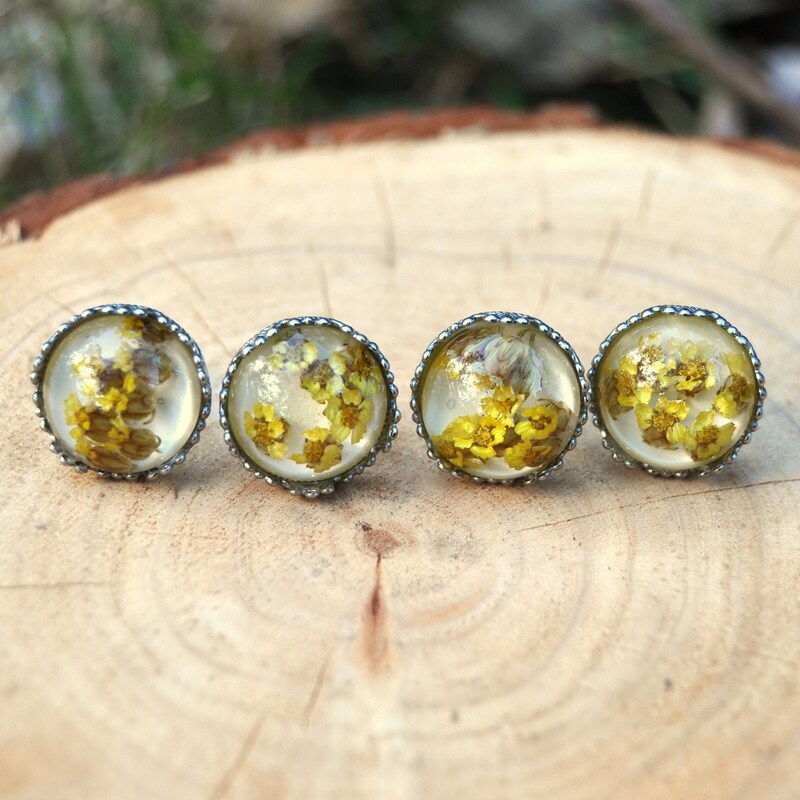 The tiny flowers have been set in clear eco resin cabochon against a white background, which highlights each individual flower. 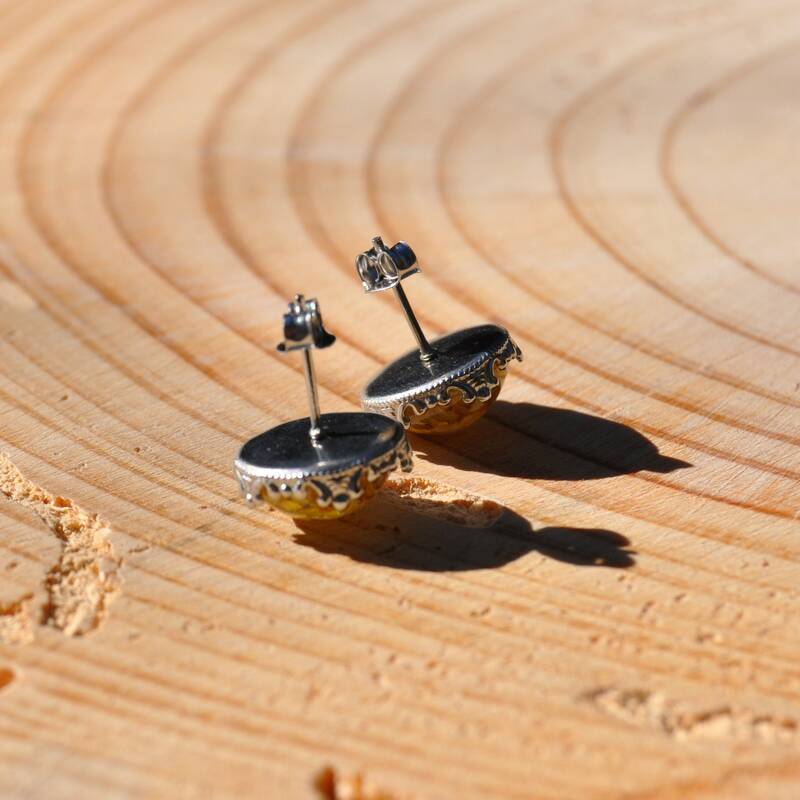 Each cabochon was then set in a non-tarnishing, stainless steel crown setting, giving the earrings a vintage and Victorian look.